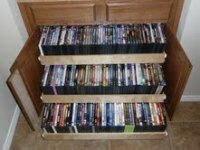 Organization and easy access equals less stress in the kitchen. 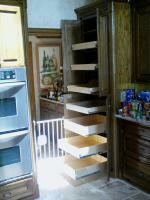 Let us convert your existing cabinets into a functional dream with custom pull out shelves. No gimmicks or gadgets, just great quality craftsmanship and life-time hardware. Find what you need when you need it! Don't let your kitchen be a source of anxiety. Call or email us to get a free quote!